Orlando: An Insider’s Guide | how 'bout some cake? Since I’m off galavanting across Maui, I’ve asked my pal Stephanie (from Twenty-Something Blog) to step in for a day. So she’s here to dish about the best things to do in her hometown of Orlando- wait ’til you hear what it’s been hiding! Let’s face it: when people think of Orlando the first thing that comes to mind is Disney (or Harry Potter World, for all you fanatics). But I’m here to change all that, because as a twenty-something living in this popular city I’ve discovered that Orlando has way more to offer than theme parks alone. So when Rachel asked me to post an insider’s guide to Orlando that didn’t involve Disney, I was beyond excited. I’ve rounded up my favorite things to do, eat and see in this touristy city I call home. Enjoy! 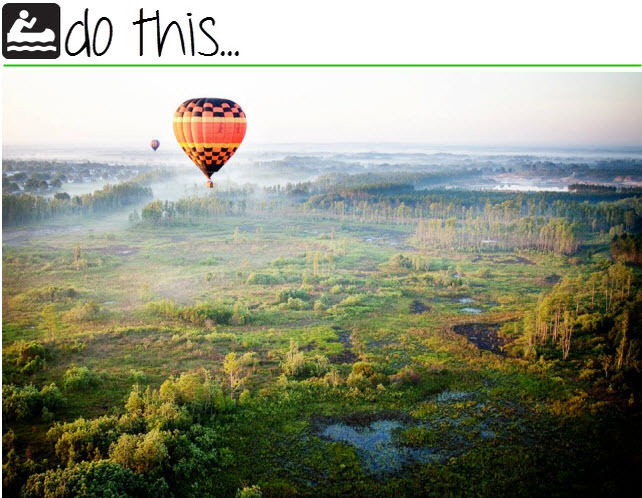 Bob’s Balloons– I surprised my boyfriend John with a hot air balloon ride from Bob’s Balloons for his birthday in June and it was an unforgettable experience. While this is quite a pricey adventure, Bob goes the extra mile to make your experience worth every penny. We got a complimentary breakfast (with mimosas! ), souvenir glasses and a flash drive (in the shape of a hot air balloon, of course) with video clips from our ride. Universal’s City Walk – This is Universal’s mecca of nightlife. Complete with shops, restaurants, a movie theatre and a plethora of themed clubs this is the perfect way to spend a Saturday night in Orlando. Despite the fact that the drinks cost an arm and a leg (that’s what happens when you live in a city frequented by tourists) City Walk is one of my favorite places to go for a fun night out. Wikewa Springs State Park– this is home to a natural cold spring so if you’ve traveling to Orlando in the dead of summer it’s a great way to beat the heat. John and I rented a canoe for $18 (for 2 hours) and swam in the cold spring afterward to cool off. Get here early if you plan on canoeing, the river is narrow and gets extremely crowded by late morning. And be prepared to see alligators, you are in Florida after all! City Fish – When people come to visit John and I, this is where we take them for dinner. The atmosphere is great and they have some of the BEST dipping sauces I’ve ever tasted (try the sweet potato fries with cinnamon horseradish sauce, it won’t disappoint). I’m also on a constant mission to find the best fish n’ chips around and City Fish is currently in the lead! Dexter’s of Thornton Park – I stumbled upon this restaurant after trying their truffle fries at a food and wine festival. 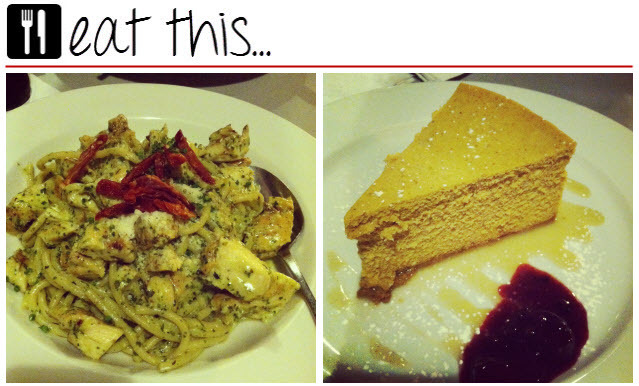 Pictured above is Dexter’s Garlic Buccatini with Fresh Pesto (left) and Pumpkin Cheesecake (right). Try Dexter’s for date night and take a stroll around the nearby Lake Eola park afterward. Tijuana Flats – It’s no secret that Mexican food is my absolute favorite, and one of my absolute favorite places to eat it is at Tijuana Flats. This is one of those restaurants where you order at the counter but still get service from a waiter. I highly recommend the Chimichangas (tell them to “make it wet” which translates to delicious queso on top). Cirque du Soleil – you’re in Orlando, so you have to do something a little touristy and crazy. Or in this case, join tourists to watch other people doing something crazy. John surprised me with tickets to Nouba for Valentine’s Day and I was beyond impressed. This is located in Downtown Disney (a more family friendly version of City Walk) so after the show you can wander around the various shops and restaurants. 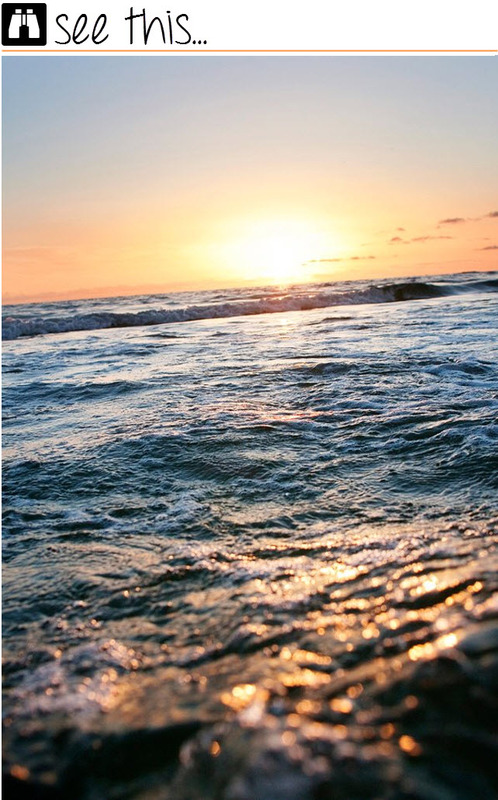 Anna Maria Island – okay I know this isn’t actually in Orlando but one of the things I love about living here is the close proximity to beaches. Anna Maria Island has that small beach town feel that I love so if you have a car and don’t mind a short 2 hour drive, this is a great way to spend the day soaking up all the sunshine Florida has to offer. Make sure to stop by the Kokonut Hut, the island’s beach front tiki bar and restaurant (the Malibu punch bucket is a must). Harry P. Leu Gardens – who said you can’t stay in touch with nature in the middle of a city? If you’re looking for a relaxing morning activity, head to Harry P. Leu Gardens for a stroll around the 50 acre botanical gardens. Each garden is themed and among my favorites are the butterfly, rose and palm gardens. What are your favorite things to do in your city? 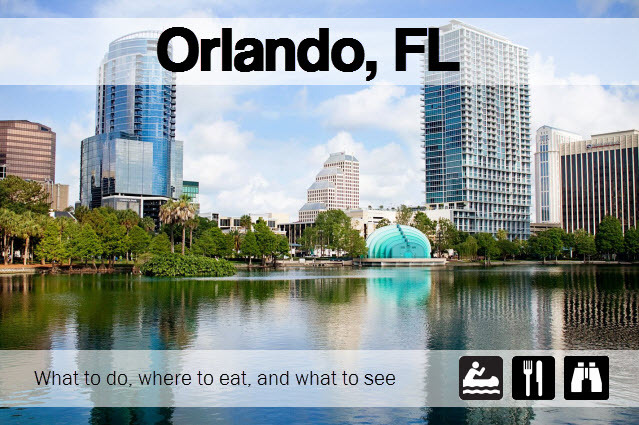 This entry was posted in Travel and tagged florida, guide to orlando, orlando, Travel. Bookmark the permalink. I’ve never been to Florida but have always wanted to! Actually, I’ve only ever been on a plane once (so sad, but I just don’t have the $). My aunt/uncle/cousins live near Orlando though, so one day I hope to make it down there and check all these things out! Thanks for having me Rachel! 🙂 Hope you’re enjoying Maui. This is so great, Steph! I’ve spent a lot of time in Florida (we have a condo in Palm Beach) and Orlando has been a family favorite–admittedly because of Disney! I’ve always suspected that Orlando had a ton to offer, but you just totally proved it. I can’t wait for me next trip down! Great tips and ideas Stephanie! I’ve only been to Florida once and I think it was Tampa. My family and I were catching a cruise ship there and after a few hours we were whisked off to the Caribbean. It looks like there is so much to do in Orlando though (I’d love to go to the State Park where the natural springs are!!). I’ll have to schedule a trip down there soon! This is amazing! I have been wanted to visit Florida and now you have convinced me that I MUST visit Florida. Everything looks so beautiful and I can’t wait to try those truffle fries!! Thank you so much Steph!! I’m now in Miami so if I visit Orlando I would have the best guide! Lovely post Stephanie! This is such a great guide to the city! This is such a great post! I want to go on a Bob’s Balloon ride and then eat at Dexter’s!!! This is a great guide to Orlando!